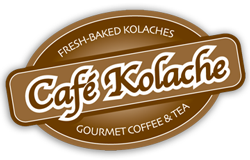 Buy a Cafe Kolache gift card online here! 6:00 a.m. 'til 5:00 p.m.
7:00 a.m. 'til 4:00 p.m.
©2019 Cafe Kolache. All rights reserved.